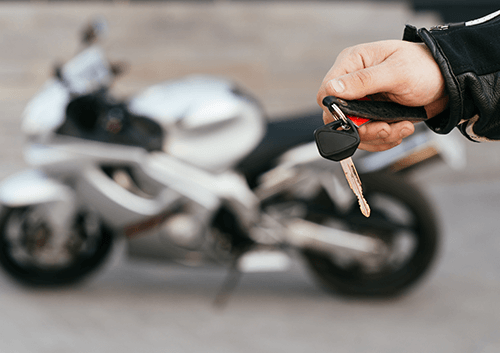 Before you hop on your motorcycle, you’ll want to be sure to perform a few essential motorcycle maintenance tasks to ensure a safe, reliable ride. 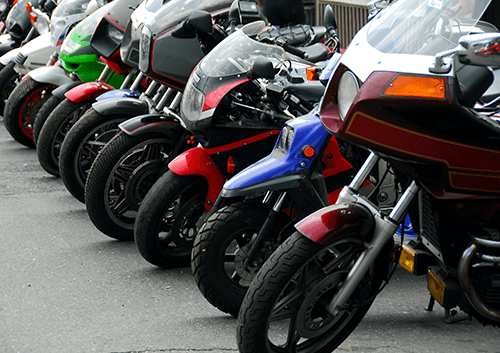 While today’s bikes need less routine motorcycle maintenance than older bikes, even the latest models require these routine tasks prior to hitting the open road. 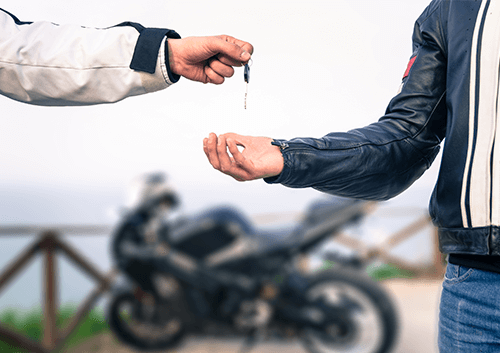 In addition to an overall visual inspection of all your bike’s parts, you should pay particular attention to your oil, battery, brakes, drive mechanism, tyres and petrol. Check your oil level before each ride. While the engine is cold, make sure your motorcycle is level. Check your oil level and add oil if necessary to top it off. Be careful not to add too much oil. Keep track of when your oil is changed and the milage. As a general rule, you’ll want to change your oil between 2000 and 4000km or 3 to 6 months. You can change it yourself or bring it into a garage to have it serviced regularly. Inspect your oil filter. In general, oil filters will last through two oil changes. However, if you notice your oil filter is dirty, you’ll want to change it. Inspect the fluid levels for each chamber of the battery. You’ll want to top off any low chambers with distilled water. Alternatively, you can use deionized water. You should use tap water because of the minerals in it. Be sure your battery has a full charge. Look for telltale signs of a weak battery such as dim lights, or a weak sounding starter. Clean the top of your battery and make sure the cables and clamps are securely attached. Finally, test the battery with a voltmeter before each ride to ensure a problem-free outing on your motorcycle. Check your front and rear brake fluid levels prior to each ride. If you need to top off a reservoir, be sure to use a new bottle. Once a bottle has been opened, brake fluid gradually takes on moisture which impacts its performance. Carefully inspect your brake pads and brake lines for wear or damage. After each ride, you will want to lube your chain with oil while it is still warm. You may also want to lubricate it with chain spray prior to your ride. 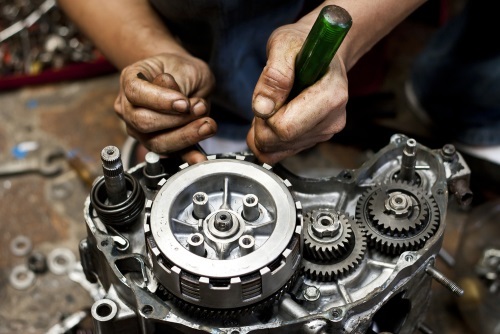 Inspect the drive mechanism of your motorcycle carefully before each ride. When you change your oil, you will also want to change the shaft drive oil to keep your shaft drive in good working order. Check the belt tension and make adjustments as needed to ensure proper functioning of the belts. Before each ride, you should check the pressure of your tyres with a gauge. Inflate your tires to the proper pressure prior to riding your motorcycle to prevent unnecessary wear, damage and unsafe riding conditions. Inspect your tyres for wear. If they are severely worn, you’ll need to replace them prior to riding. It’s always important to check your petrol before you leave for a ride. If you’re low, you’ll need to make a stop to avoid an embarrassing and inconvenient situation where you run out on the highway. Other fuel related maintenance includes the fuel filter and fuel lines. Inspect them as part of your pre-ride maintenance and change them at least every two years.